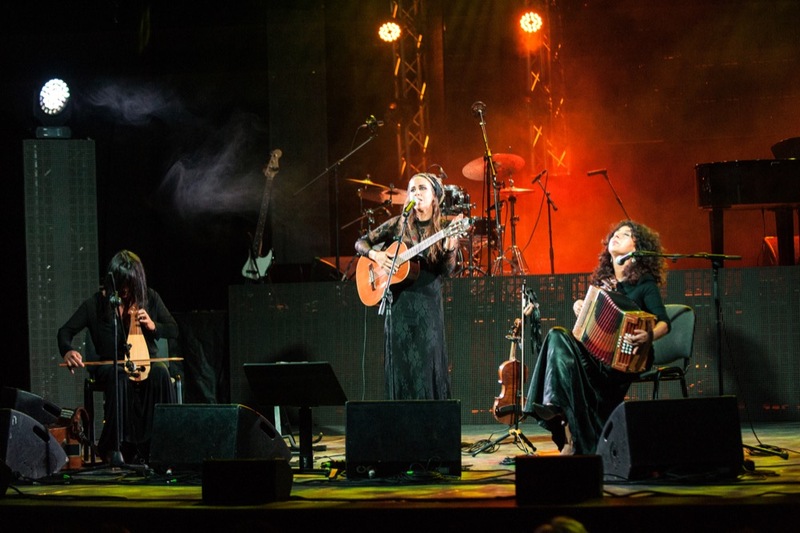 Three different female voices, three different ways of being artistes and three different approaches to the world of traditional music, ranging from Italian singer-songwriting to the spirit of gypsy and folk music, as well as original compositions. In their first record “Rosabella” (released in 2015) and in the following concerts the trio (whose first names Lavinia, Monica and Rita make up the name of Lamorivostri) devoted themselves to a traditional repertoire, combining their artistic experiences to give life to an intense and original musical journey. Their creativity was expressed in adventurous new forms, combining old traditions and modern musical contamination in a highly original approach. The recording and project of “Rosabella” was presented at the Auditorium Parco della Musica of Rome. The new record "Teresa di mare", containing more songs of women and freedom, will be released in the Spring of 2018.